Use these ontologies as input for your matching system. Some questions and answers on certain problems with the matching task are listed in a FAQ-page. This page eventually contains some useful hints. We would like to gratefully thank Martin Ringwald and Terry Hayamizu (Mouse Genome Informatics - http://www.informatics.jax.org/), who provided us with a reference mapping for these ontologies. The reference mapping contains only equivalence correspondences between concepts of the ontologies. No correspondences between properties (roles) are specified. If your system also creates correspondences between properties or correspondences that describe subsumption relations, these results will not influence the evaluation (but can nevertheless be part of your submitted results). The results of your matching system will be compared to this reference alignment. Therefore, all of the the results have to be delivered in the format specified here. Note, that your system has to provide meaningful confidence estimations for each generated correspondence somewhere in the range from 0.0 (extremly unconfident) to 1.0 (very confident). Beyond the standard f-measure and precision resp. recall it is also planned to measure the quality of these confidence values. Mouse-Human #1: The final result of your matching system. This alignment should be an optimal solution to the matching problem with respect to both recall and precision as far as possible. Mouse-Human #2: The final result of your matching system, which should be optimized for precision. Mouse-Human #3: The final result of your matching system, which should be optimized for recall. The results of task #1, #2, and #3 will be checked against the reference mapping to compute recall and precision. For all three task we will compute the f-measure which is the (weighted) harmonic mean of precision and recall. In task #1 recall and precision are evenly weighted (alpha = 1). For task #2 and #3 precision and recall are weighted differently. Alpha will be set to 5 respectively 1/5. Task #2 and #3 will show if your system is configurable for different scenarios. 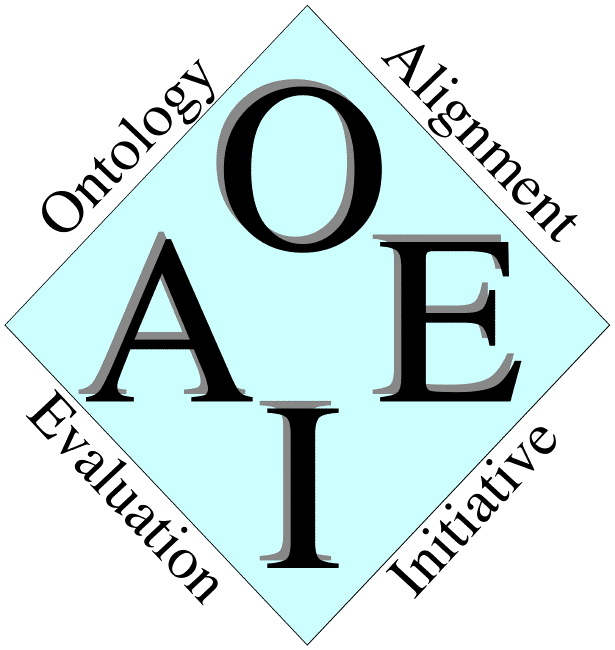 The time schedule is available at http://oaei.ontologymatching.org/2007/ in the section "Schedule Overview". Important: Notice that the ontologies of this track have been automatically transformed from their corresponding .obo-files. Early testing and communicating problems could be useful and is desired. You should submit your results in the format and directory structure described at http://oaei.ontologymatching.org/2007/. In more detail with respect to the anatomy testcase, your submission should contain the following folders and files. and where and how this can be specified as input for your system. If you cannot generate alignments for tasks #2 and #3 leave the corresponding folders empty. If you have any problems working with the ontologies or any questions, feel free to write an email to christian [at] informatik.uni-mannheim.de. Last updated: 27.08.2007 by Christian Meilicke.